is pretty simple! You must move the valet in the parking lot and take the cars from the owners, remember the slots number where to place the car and park it there. This should be easy! But when your realize that all the clients want their car to be taken that very minute and you must handle the car with care, trying not to scratch it, things are not that simple anymore! Easy to say, hard to accomplish! Have a blast becoming a Parking Lot Master! 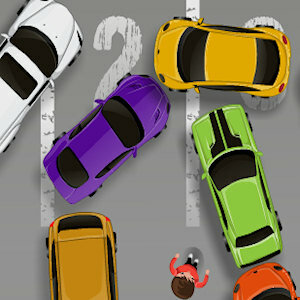 Controls To play this game use the Arrow Keys or WASD to move the car, X and Enter to enter and exit the car, Shift to increase valets speed and Space to smoothly drift. Or you could use the mouse to move the valet and the car!